I’m a huge pasta fan. One of my favorite parts of grocery shopping is when I get to wander down the pasta aisle and just admire all the different shapes I can choose from. I’m not savvy enough to know much about how to choose different pasta shapes to pair with different sauces or anything like that, but put me in front of any kind of pasta dish, and I will probably find a way to fall in love with it. If you’re as devoted to pasta as I am, then you’re always looking for new ways to incorporate it into your meals. Therefore, I went on a quest to find one interesting recipe for six different types of pasta. Come and check ’em out! Ravioli is one of the easiest types of pasta to cook with. 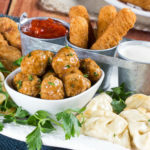 You really don’t have to put in a whole lot of work ’cause there’s already a cheesy or meaty filling that’s adding a ton of flavor to the dish. 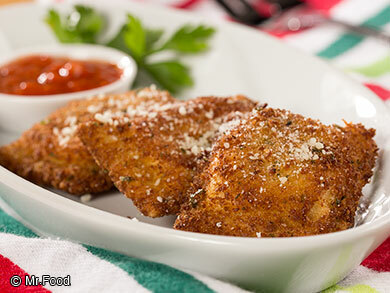 This Golden Ravioli is a great restaurant-style dish that’s sure to impress your friends and family. Lady and the Tramp fans will rejoice with this entry onto the list! 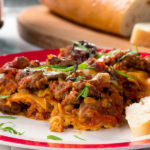 Spaghetti is typically paired with meatballs for a kid’s meal, but you can cook up something unique with this Pizza Spaghetti Bake. Mac ‘n’ cheese is my go-to comfort food. Give me a baked mac ‘n’ cheese casserole with a crispy bread crumb topping, and I’m in heaven. 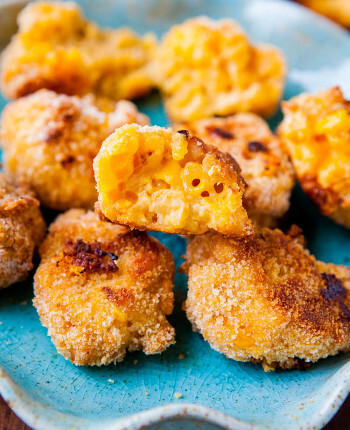 These Mac ‘n’ Cheese Bites are just like that but in appetizer form, making them ideal for munching on while watching a movie or a sports game. Similar to ravioli, tortellini comes pre-packaged with plenty of flavors, stuffed with cheese, chicken, and more. Switch up the type of tortellini you use to make your favorite dishes to cook up a different creation each time. 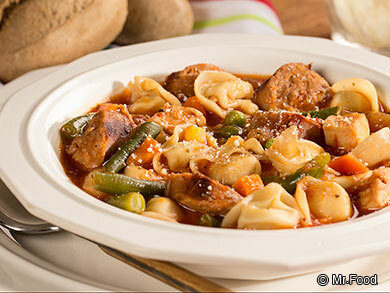 This Italian Chicken Tortellini Soup is the perfect comfort food for a rainy day. 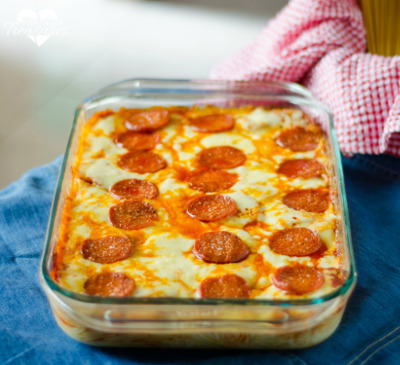 Manicotti is a fun type of pasta ’cause you get to experiment with different types of fillings and toppings. 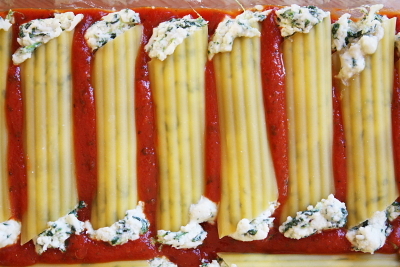 While it may seem intimidating to make something as fancy as Manicotti, don’t worry about being perfect. Even if your first go turns out a bit messy, it’s still guaranteed to be delicious. Rotini is probably one of the most versatile pasta styles. The spiral shape grabs onto the other ingredients so effortlessly that it instantly enhances any dish you add it to. 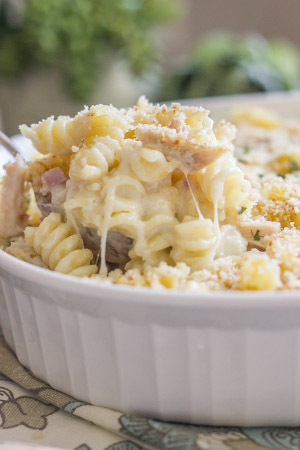 This Chicken Cordon Bleu Casserole really highlights the flavors of the sauce and meat in the most perfect way. This is definitely going to become your go-to pasta style. What’s your #1 favorite type of pasta to cook with? Let us know in the comments below!